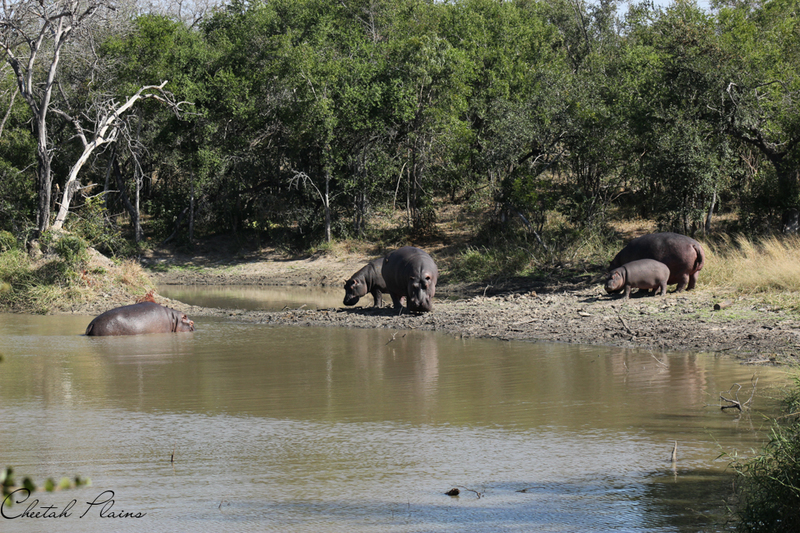 We were hit by a cold snap around the time of the winter solstice, and the cooler temperatures led to our resident pod of hippos to leave the water and lie on the bank in order to warm themselves up. 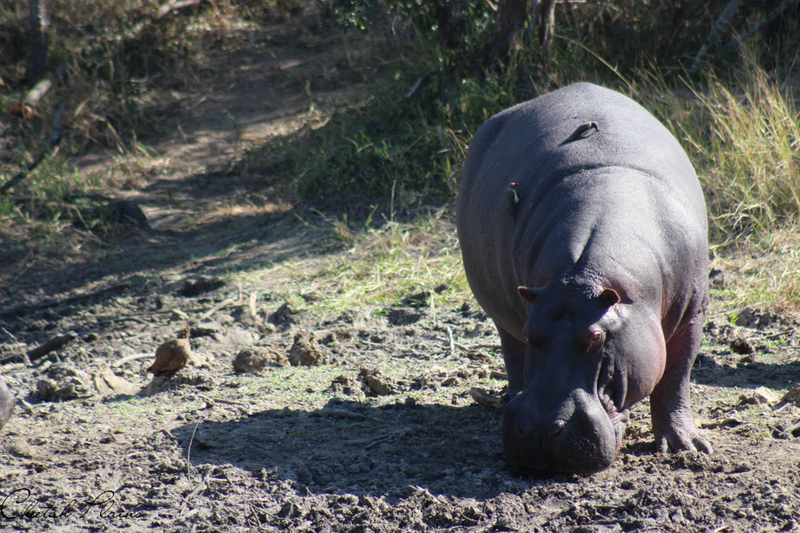 The 6 hippos slowly climbed out of the water, moving around on the bank of the dam, but then Candace spotted a terrapin that had found itself high & dry on the back of a female hippo. 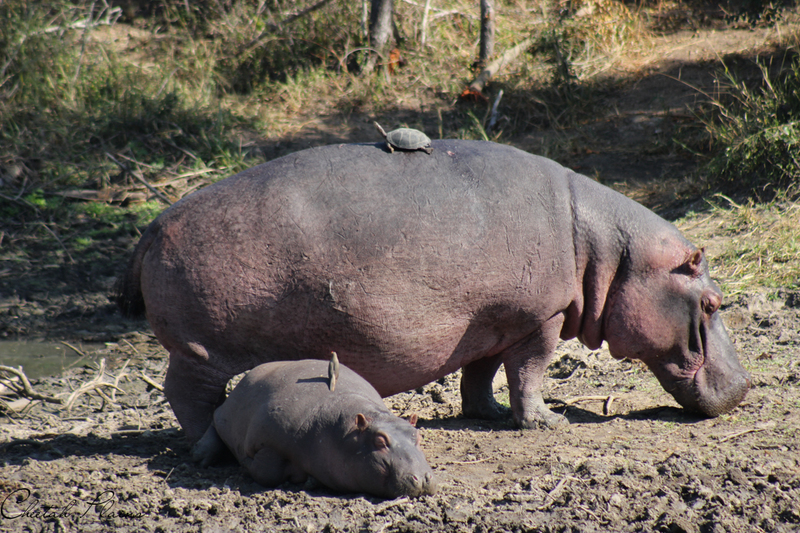 The terrapin was clinging on with its sharp claws, and was stuck on the back of the hippo for over an hour. 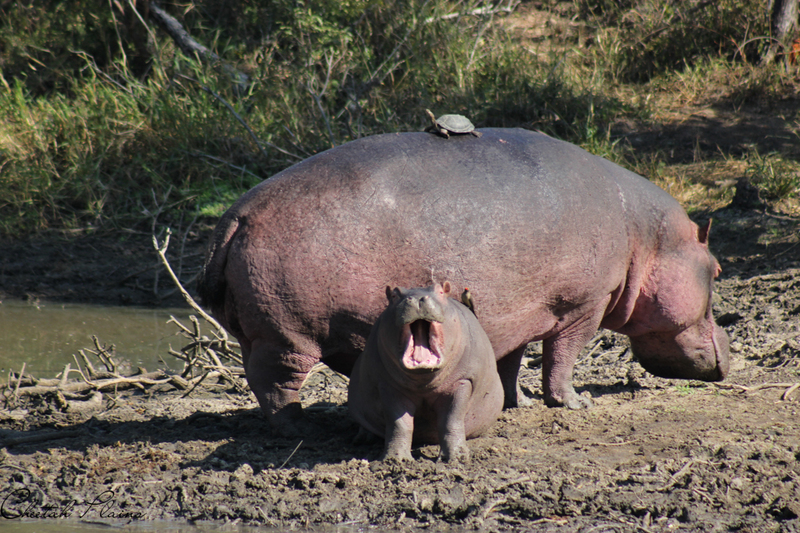 When the hippo eventually lay down on the bank, the terrapin grabbed the opportunity and slid off, making a hasty retreat back to the water. This was a wonderful sighting, and something that we do not see all too often. Marvelous Mungo – Locally sourced linens for our proudly South African lodge! Email us for more information and general inquiries.